Hurricane Sandy at Manasquan, N.J. 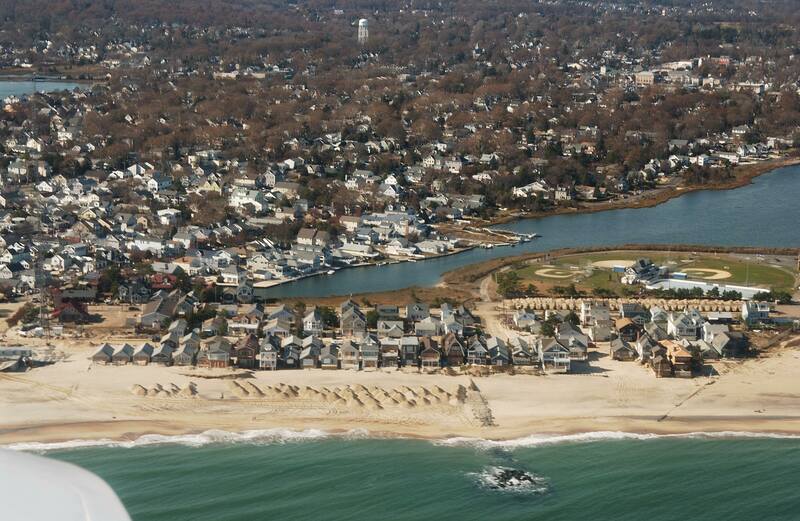 Content from Borough of Manasquan website (pdf). Captured October 28, 2012 at 10:07 p.m.
ABC News has Interactive before and after images—scroll down to the pictures "near Brielle, New Jersey"
The public was not officially allowed to the Manasquan beach area until Saturday November 3, and a pass and proof of residency or ownership is required. Thus the video record is delayed and smaller than what you would expect. Hurricane Sandy, Looting-Prone NJ Towns (Published on Nov 1, 2012) —NOTE there is NO LOOTING reported. Footage of people digging out from Hurricane Sandy in Manasquan, NJ (Published on Nov 12, 2012) This is footage of the stuff people pulled out of their flooded homes west of the Main Steet Bridge. Hurricane Sandy in Manasquan, New Jersey (Published on Nov 17, 2012) This is a set of photos and a soundtrack. 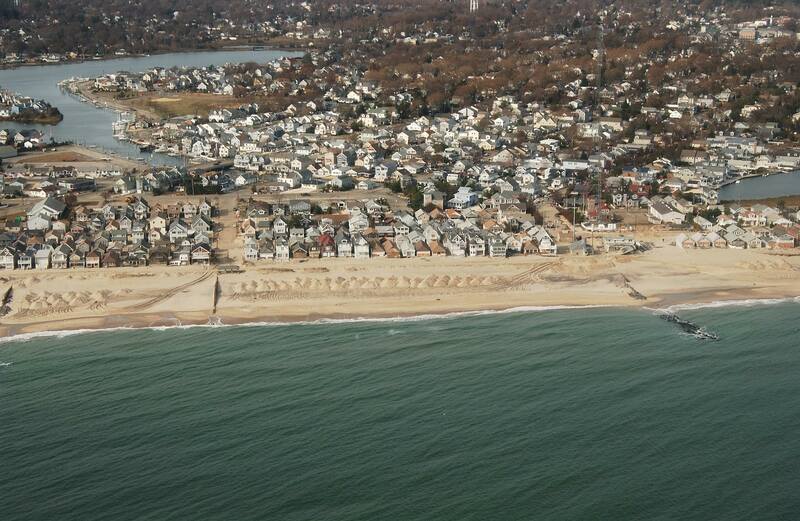 I include it because it shows some of the away-from-the-beach impacts. NOAA has NGS Vertical aerial photography from flights taken right after the storm. 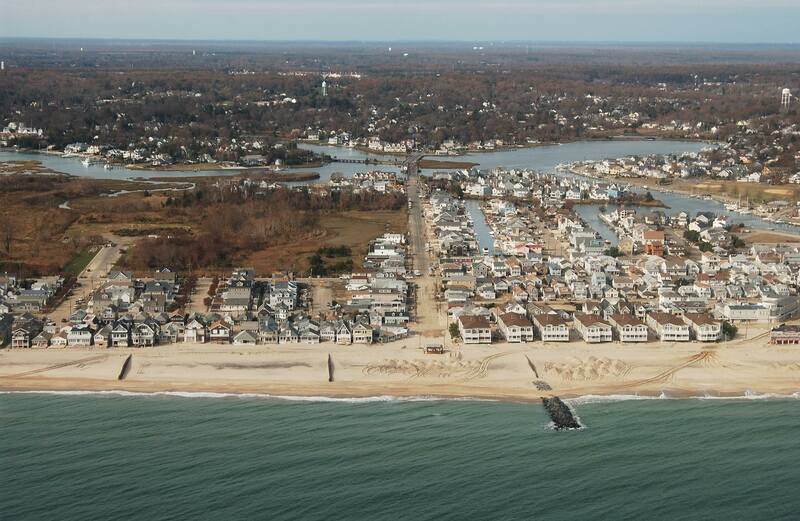 If you are zoomed into Manasquan, the October 31, 2012 Flight 2 images are the first available set. The November 1, 2012 Flight 1 images show a wider swath, and some of the recovery activity is visible. 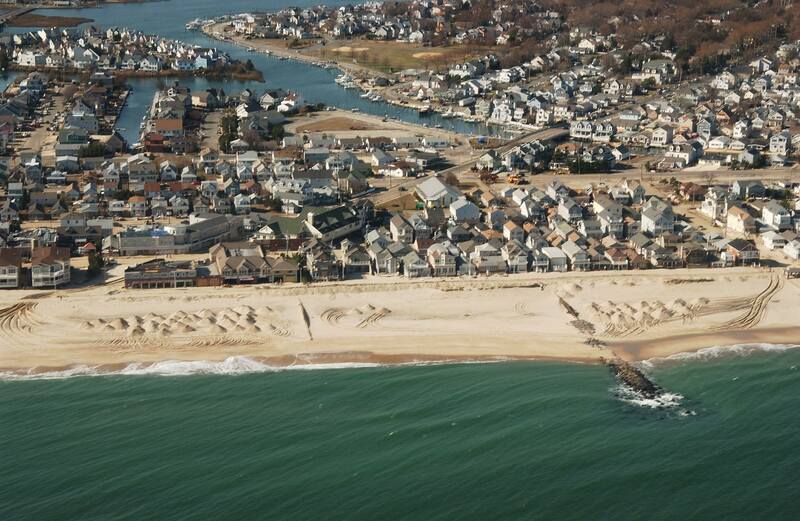 The USGS Hurricane Sandy Storm Tide mapper has a record of post-storm, surveyed high water marks.